MedMen’s shop in the tony West Hollywood neighborhood features floor-to-ceiling windows, iPads on walnut display tables and clever merchandising. It’s a far cry from traditional pot dispensaries, with their bulletproof glass, burglar bars and ever-present bouncers. And it’s a breakthrough in selling cannabis and related products, with store owners and investors pouring seven figures into designing sleek and modern spaces that model themselves on Apple emporia and Whole Foods markets rather than old-school, psychedelic head shops. Weed shops are now clean, curated and sophisticated. The design is a vital part of the outreach for an industry that can’t advertise in mainstream media. 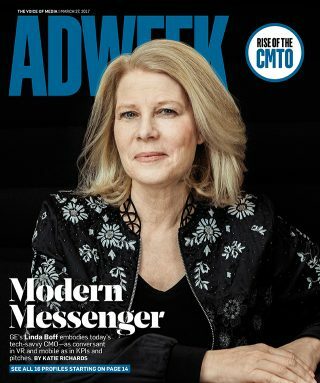 In essence, its physical locations are acting as powerful marketing hooks to attract older, affluent buyers, many of them first-timers. And further, the architecture and the trained staff can keep them engaged once they’re inside, encouraging them to hang out longer and spend more. 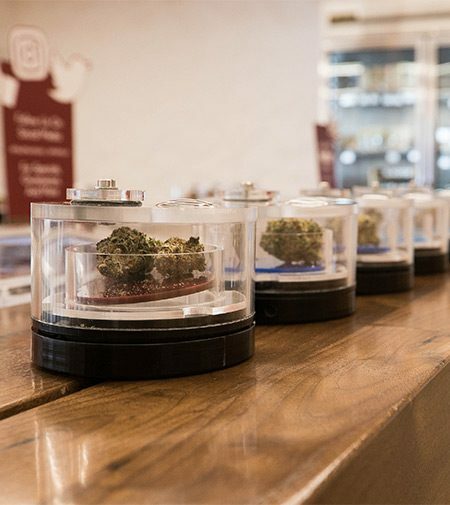 MedMen’s shop in the tony West Hollywood neighborhood features floor-to-ceiling windows, iPads on walnut display tables and clever merchandising for the pot-friendly athlete and the pet owner looking for natural remedies. The shop was recently revamped to the tune of about $150 a square foot, Pettway said, in line with posh retailers like Nordstrom. 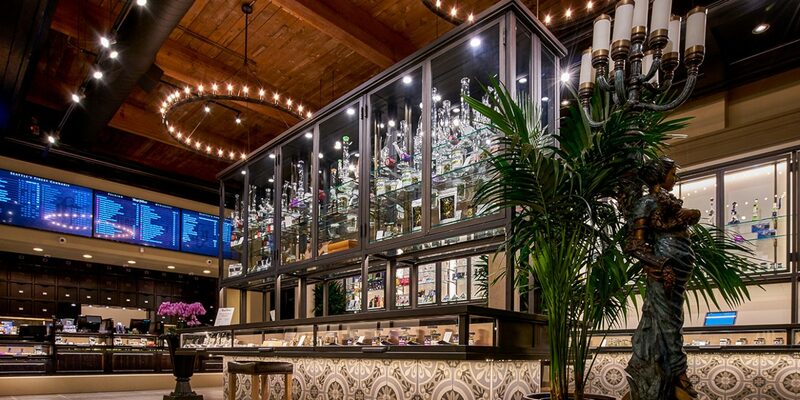 Diego Pellicer looks like a cross between a high-end jewelry boutique and an art museum. Just in time, and not coincidentally, for a projected boom in legal sales of medical and recreational-use marijuana, expected to hit $50 billion by 2026, Cowen research shows. Azer said the increases are coming “disproportionately” from buyers over 26 years old, a segment that grew more than 30 percent in the last several years, compared to about a 4 percent bump in 18-25-year-olds. The upscale retail trend has already spread around the country, from New York and Florida to California and the Pacific Northwest, with some stores (in San Diego and Tampa, Fla.) resembling day spas and promoted as “wellness centers.” Shops in Las Vegas have their own regional Sin City flair.